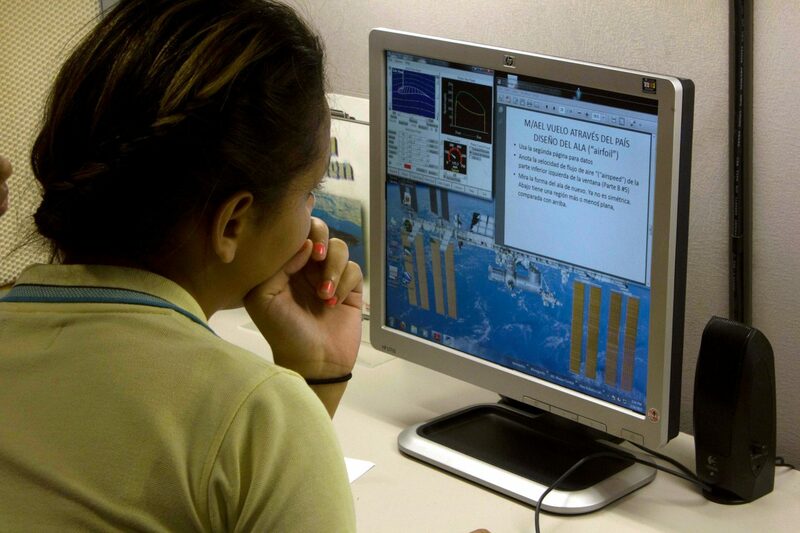 The Aerospace Education Laboratory (AEL) is a program developed by NASA to support the Science, Engineering, Math and Aerospace Academy (SEMAA). We offer 4-12 students a chance to experience what would it be like to work in the aeronautics field and this way encourage them to explore careers in STEM fields (Science, Technology, Engineering and Mathematics). AEL’s activities and curriculum support national math and science standards and process skills, with applications to real world careers. AEL has ten workstations that allow students to explore various technologies, currently used in the field of aviation and space exploration. All stations are upgraded to include activities that engage students in topics in microgravity, fluid physics, robotics, and materials science. Activities are integrated into an aerospace theme that challenges students to work as a team to complete a NASA mission: to plan and fly a cross country flight from Washington, D.C. to San Francisco, virtually experiencing NASA’s aerospace research centers, learning about their key contributions to the field of aerospace. An alternate mission permits the students, as pilots, to maneuver a space shuttle into the docking station of the International Space Station (ISS). Because some student groups can be large, we incorporated ISMuL’s Robotics and Exoplanets workshops into the AEL curriculum. 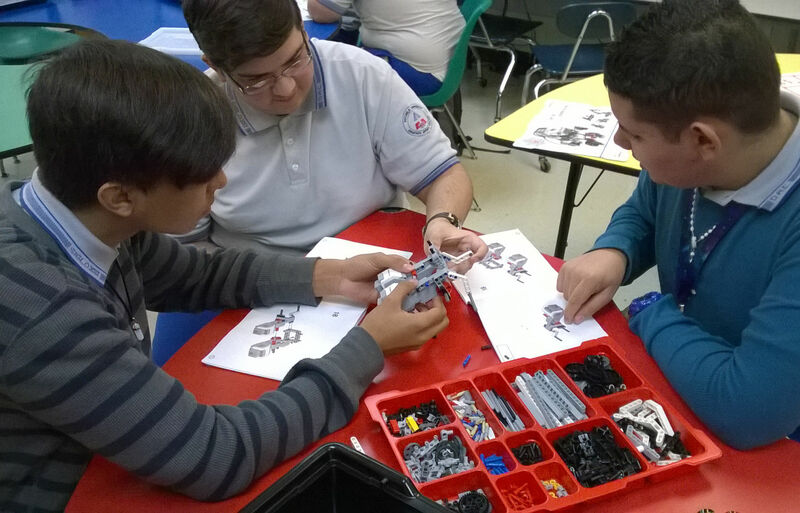 The robotics workshops started off as one of the new AEL workstations, but progressed into a supporting workshop. Teachers can choose one of these supporting workshops for a half of the group to take while the other half experiences AEL. Our facility also serves as a demonstration site for the use of technology in the teaching of math and science. AEL is equipped with a response database program to help record educational research data.